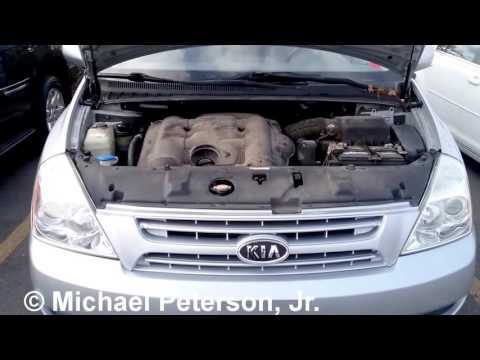 If you like saving money but won't sacrifice very much to do so, you'll be excited to see just how well the 2009 Kia Sedona stacks up against some of the category's finest. It is functional for my family, even if I don't love it. Although this wasn't my first choice of vehicles, my previous vehicle got totaled in an ice storm and we had to buy a newer car. Going from a CR-V to a minivan was a definite size increase. I love the flexibility that we have in seating: captains chairs, backseat, fold down part or all of the backseat for more storage/trunk space, head space (I can be in the back buckling my Little's buckles no problem). I dislike the electric opening doors. Although they were great for the first year, after that we had problems with one of them not functioning properly (liking to NOT close) and have since turned off the power doors which makes them more heavy to close. A great roomy & comfortable van to take on trips. I love the comfort of the seats. The back windows roll down another great feature that my grandkids love as well. The leg room in the front as well in the back is spacious. Great for long trips as well as short trips. Lots of room in the very way back of the van-for groceries as well for our luggage. The back doors both open for convenience-easy to get in & out. It holds 7 people without being crammed in. We have taken our van on many trips & it drives so smooth & has great pick-up when we need it. We have never had any problems with our vehicle either. Not bad gas mileage either which is a big plus as well. Great family van, great for long trips. My van has been very reliable. It does good on gas mileage. It drives more like a car than a van. It has a good size trunk. We've had it for almost 10 years and just this year was the first time we've really had to have work fine on it. We like the navigation system that was included and it has a really good sound system.